Here is a link to my LinkedIn site containing my CV. 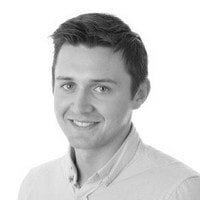 Currently working as a journalist and columnist in The Irish Times and on eir Sport as an analyst and co-presenter, Eamon Donoghue has interest and experience in all aspects of media - specialising in sports, current affairs, travel, and health and fitness. Experience in TV, print & online media, and radio at national and regional level. DCU Journalism graduate (2014 with honours), Student media awards nominee 2014. National Press Student Journalist of the year.